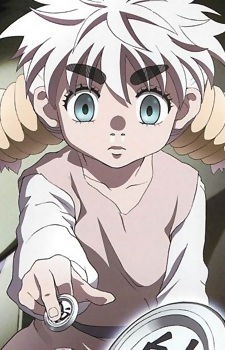 Komugi is a blind girl who is a genius at Gung-gi, a fictional board game of Hunter x Hunter. She is introduced during the Chimera Ant arc and frequently plays Meruem, the Chimera Ant King, in Gung-Gi games. Meruem seems to be developing some feelings towards her, despite her being a human. She dies alongside Meruem at the end of the Chimera Arc, with Meruem never able to win a single match of Gungi against her, even in his final moments. Is Hunter X Hunter: Chimera Ant the Greatest Shounen Arc Ever? No question about it, Hunter X Hunter 2011 is one of the greatest and most popular anime ever. But even in a series this exceptional, the "Chimera Ant" arc really stands out.